Wouldn’t it be great if your dream bathroom was tailored to your needs and desires? If functional items were positioned in line with personal preferences and shelves were installed where they were actually needed. You want to determine where water flows and where you turn on your tap. Such generous bathroom architecture can have a somewhat softer effect and be kind on the eye while still retaining a neat and tidy appearance. 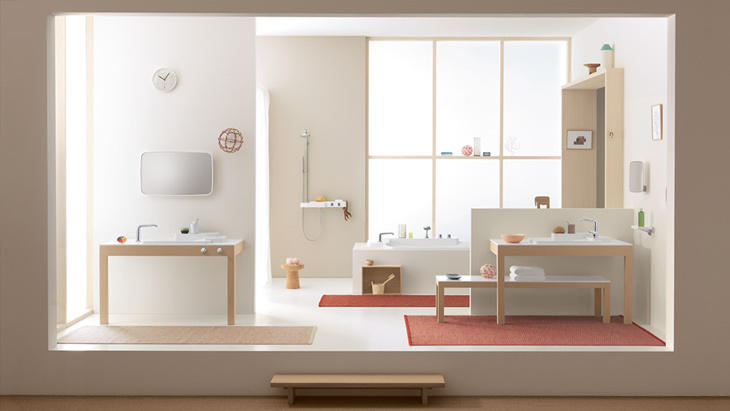 The fascinating Axor collections enable you to design your very own dream bathroom – Axor Bouroullec makes the process exceptionally simple as the freedom to compose is the motto of the Axor Bouroullec bathroom collection.